Phyllis Allen has been teaching ballet for over 40 years. She was founder of Lawrenceville School of Ballet and founder and Artistic Director of Southern Ballet Theatre. She began her training at the Decatur School of Ballet becoming Junior Director with the Decatur Dekalb Civic Ballet at age 20. She was a member of the Atlanta Civic Ballet (now known as the Atlanta Ballet) under the direction of Dorothy Alexander and Robert Barnett. 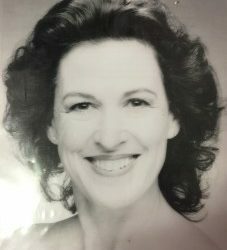 She performed In several seasons with Theater Under the Stars. At age 15 she was selected to work with George Balanchine in the Young Choreographer’s Workshop. She has studied at the School of America Ballet Theater, David Howard Dance Center and the Royal Ballet School. She has taught in numerous studios across the United States. She has choreographed for various high school and college productions, public television, civic theater groups and ballet companies across the country. She has been involved in Regional Dance America as a performer, choreographer, and artistic director. Ms. Allen’s students have gone on to professional careers including many dance teachers across the U.S, performers on Cruise Ships, Walt Disney World, New York City Ballet, and a soloist with American Ballet Theater. We are thrilled to have Phyllis join the staff of Lilburn and Grayson Schools of Ballet.